as his companion ducks for cover. The division is working to take Wana Ridge before the town of Shuri." S.Sgt. 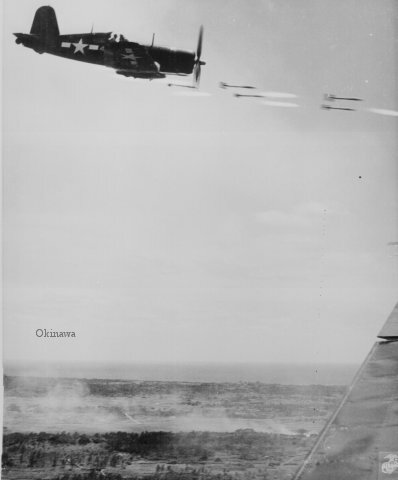 Walter F. Kleine, Okinawa, 1945.
on a run against a Jap stronghold on Okinawa. as Marine units move in to follow up with a Sunday punch." 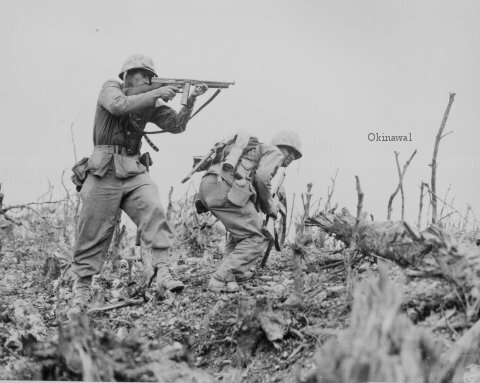 Marines of the 4th Division shell Jap positions cleverly concealed back from the beaches. 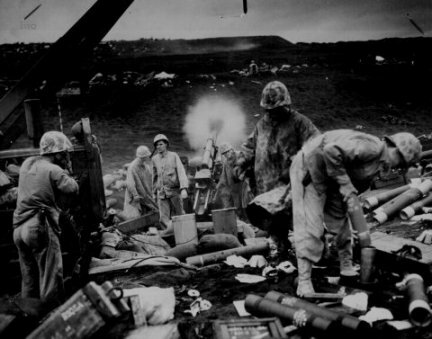 Here, a gun pumps a stream of shells into Jap positions inland on the tiny volcanic island." 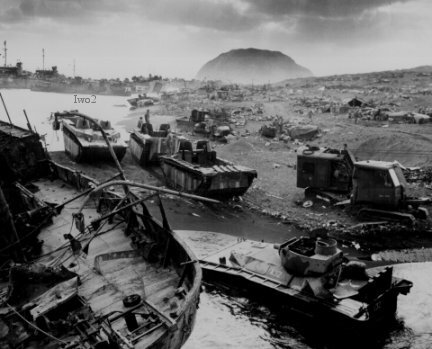 amtracs and other vehicles of war lay knocked out on the black sands of the volcanic fortress." 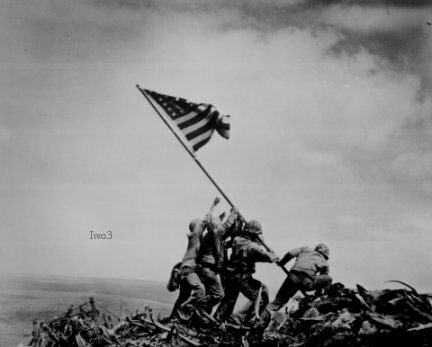 "Flag raising on Iwo Jima."